Groups must try to successfully communicate messages to each other through interference. They will explore different ways of communicating and understanding each other. Create a playing area by laying two 30-foot long ropes on the ground parallel to each other. The ropes should be at least 30 feet apart. If the group is large (100+) you will need longer ropes and the ropes will need to be further apart to accommodate the size of the group. If you don’t have rope you can use tape, chalk, cones etc. Divide the large group into three equal smaller groups. 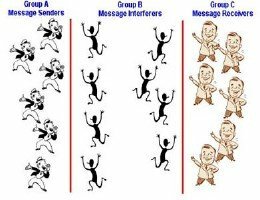 Group A will be the “Message Senders”, Group B will be the “Message Interferers” and Group C will be the “Message Receivers”. Group A has 20 seconds to transmit a specific message to Group C.
Group B (the message interferers) must prevent Group C from receiving the message successfully. At the end of 20 seconds, everyone must be silent and Group C will share the message they received. Groups A and C win if it is the exact same message sent by Group A. If Group C has only part (or none) of the message, Group B (the message interferers) wins. Only verbal communication may be used to send the message. No communication aids can be used: no texting, signs etc. Each group must stay behind their lines and cannot travel into any other zone. This activity gets VERY loud. Make sure you won’t disturb others when you play this game. After all is set and everyone understands the objective and rules, the facilitator will secretly show Group A (the message senders) the message, which is: “A friend is a present you give yourself.” Prepare this message ahead of time and write it on white paper using a black marker in large easy to read print. Do not let the other teams see the message! Allow the message senders 20 to 30 seconds to prepare a plan and then blow your whistle! After 20 seconds blow your whistle again and get everyone to stop so you can hear what the message receivers heard. You will repeat this process for each round. It’s important for each group to rotate into each of the positions (sender, interferer, receiver) so everyone has an experience of each position. The Message Interferers will usually yell like wild animals and direct their yelling at either the Message Senders or the Message Receivers (or both). The Interferers may jump up and down and wave their arms so as to act as a further distraction. 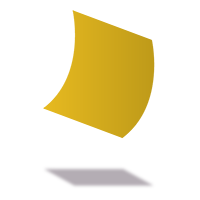 Message Senders that are successful will tend to plan their efforts and yell their message as a unified group. They may also accurately act out the saying. Our “messages” for the three rounds are just suggestions, you can use any phrases you would like! With larger groups you may want to give them more time to send the message – – maybe 30 seconds.